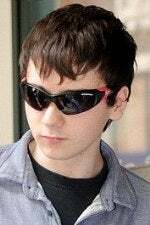 Most recently, police in the U.K. have charged the 18-year-old man they allege is LulzSec spokesperson "Topiary" with five offenses related to DDOS attacks on the Serious Organised Crime Agency (SOCA), which is similar to the FBI in the United States. January 27: UK police arrest five alleged hackers believed to have taken part in DDOS attacks against PayPal, Visa, and Mastercard after the companies quit processing payments for WikiLeaks. In July, the companies began processing payments for Julian Assange's group again. February 14: Spanish police arrested a hacker who allegedly tried to blackmail Nintendo after getting hold of a database with user information. After being spurned by Nintendo, the hacker published 4000 user records on an online forum. June 10: Spanish police nab three hackers believed to be part of Anonymous and involved in a number of hacking campaigns, from the PayPal attack to taking down sites of various world government agencies, including some in Spain. June 13: A big week for hacker arrests continues in Europe with the arrest of 32 alleged Anonymous members in 12 cities across the countries. Hackers had attacked Turkish government websites in protest of "plans to implement a filter on Internet browsing." June 21: British authorities take a 19-year-old into custody in connection with the attack on the SOCA site. Later identified as Ryan Cleary, he's believed to have hosted an IRC server for LulzSec. July 19: In the first big American sting on hackers this year, the FBI arrests 14 suspects across a number of states they believe to have taken part in the PayPal attacks last year. The suspects ranged in age from 22 to 42, with one person's age withheld. July 27: U.K. police arrest the man believed to be Topiary in the Shetland Islands. While some suspect the real Topiary is actually Swedish, another Lulz/Anon spokesperson, Sabu, has started a "#FreeTopiary" campaign.